Welcome to Queens Park Motel in Invercargill. With friendly hosts, a fantastic setting on the edge of Queens Park and spacious apartment-style units, Queens Park Motel has everything you need for a relaxing, comfortable stay. 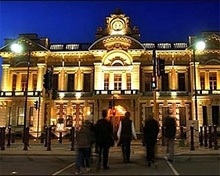 If you need motel accommodation in Invercargill, look no further! 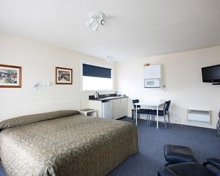 Queens Park Motels offer the best of both worlds - a quiet, peaceful haven with safe and secure accommodation back from the main road, with Invercargill’s city centre and its fantastic dining options and amenities only a short drive away. Set in a quiet residential neighbourhood away from traffic noise, a restful nights sleep is ensured. Step through the back gate and you’ll find yourself in the beautiful Queens Park. This interesting park is one of Invercargill’s jewels and it’s brimming with secret spots to discover. It’s home to scenic walking tracks, themed gardens, a golf course and an aviary. Queens Park Motels have 14 apartment-style units, comprising six self-contained studios, two self-contained 1-bedroom/twin-share units and six self-contained 2-bedroom units. Qeens Park Motels are in a quiet residential setting away from main roads and just a 3-minute drive from the CDB. 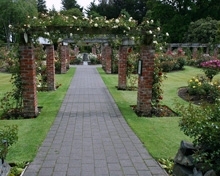 Adjacent to magnificent Queens Park Gardens, Golf Course and the Southland Art Gallery & Museum. From Invercargill City, discover the rugged coastline and National Parks of Fiordland and Rakiura. Fiordland covers 7,860 sq km, making it New Zealand's largest national park. Southland also includes Stewart Island - 85% of which is covered by Rakiura National Park.